Profile: South Austin is the site for several new VMU (Vertical Mixed Use) complexes by Ardent. These four-to-six-story developments-the units can be condominiums or apartments-combine the convenience of a low-rise with the views of a mid-rise. 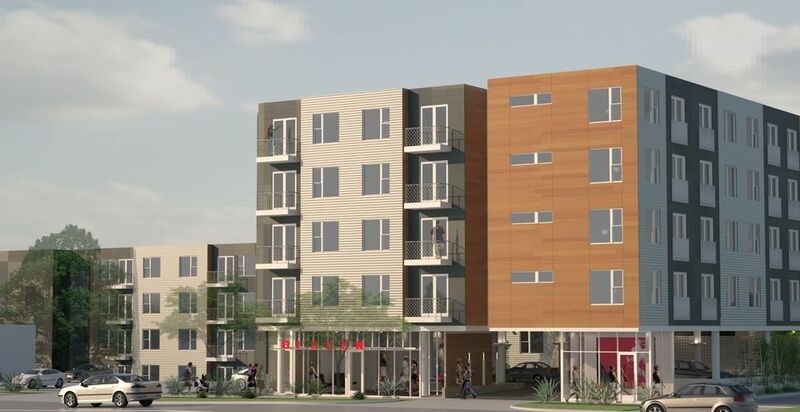 Gibson Flats consists of 202 residential units in two buildings with 3,000 SF of retail space in a separate building. All spaces, from below-grade parking to rooftop lounges, had to be interconnected: a total of nine levels. Other resident-use areas include a fitness center and a business center. Services: DataCom Design Group provided IT and Cable TV to all units, Outside Plant communications connectivity.